Sony Ericsson has introduced what was rumored to be the K820 but has turned into the C902, and the splash-proof and dust resistant C702.Â First up is the C702 with 3.2 megapixel single-handed camera so it’s easy to snap that accidental photo while doing something else. 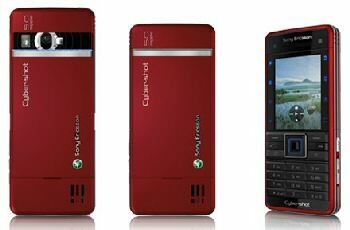 The C702 comes with GPS along with bundled Google Maps for mobile. Next is the C902, offering up a 5 megapixel camera with auto-focus, flash, and face detection; you also get 160MB of storage along with a memory stick expansion slot. Both these handsets have Cyber-shot branding, and becoming available in Q2. The C902 comes in Swift Black and Luscious Red while the C702 comes in Speed Black and Cyan Blue. Previous article Previous post: Critical Blackberry Outage hurts users: Has this affected you?